1 bottle of Psorcare Lotion. 1 jar of Psorcare Cream 10g (any color). Price RM 150 (save RM 10). It is advisable to choose the color that best matches the color of your skin. Most customers would purchase brown or black PsorCare for use at home and yellow PsorCare for use during working hours. Black PsorCare was found to be too strong for people with very fair skin but most affective for people with very dark skin. To treat acne, use yellow PsorCare. Psorcare Cream 1 x 10 gm jar: MYR 38 (save MYR 2). Please note that your credit-card will be billed in Malaysian Ringgit (RM). Adalah dinasihatkan memilih PsorCare mengikut warna kulit anda. Kebanyakan pengguna PsorCare membeli PsorCare hitam atau coklat untuk penggunaan di rumah dan PsorCare kuning untuk penggunaan di pejabat. PsorCare hitam didapati terlampau kuat untuk orang2 berkulit putih (oleh itu tidak sesuai) tetapi sangat berkesan untuk orang2 berkulit gelap. Untuk masalah jerawat, dinasihatkan menggunakan PsorCare kuning. To purchase Psorcare Set 1 (Cream small set), click here. 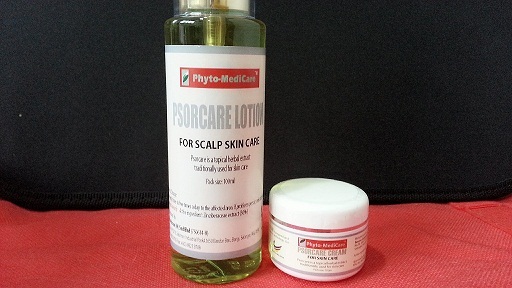 To purchase Psorcare Set 3 (lotion medium set), click here. To purchase Psorcare Set 4 (lotion large set), click here. To purchase individual Psorcare Cream and Lotion, click here. For questions on PsorCare, click here.